Life on the East Coast can be hectic, stressful and overwhelming at times. Taking a break at Berkeley Springs retreats is just the answer for shaking off the rut you are in. 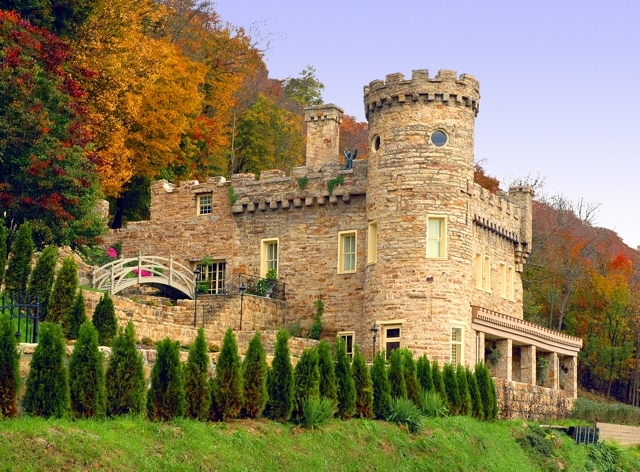 Berkeley Springs is a town in West Virginia that is well-known for its relaxing retreats and unique art-filled atmosphere. Berkeley Springs is located just ninety minutes from the Washington DC and Baltimore metro areas, and is a great getaway spot for those who are looking to relax. There are five Berkeley Springs retreats that are considered to be full-service retreats, which means that they cater to all of your rejuvenation needs. Whether you’re in need of a full day of treatments and massages, or just a facial, these retreats can fulfill your wishes. The Berkeley Springs retreats that are full-service are: Atasia Spa, The Bath House Massage and Health Center, Berkeley Springs State Park, Coolfont Resort and Origin Spa. If you’re looking to have rejuvenation and relaxation at one of the Berkeley Springs retreats that includes a place to stay, you’ll want to book your appointments at the Coolfont Resort or Origin Spa. Both of these exquisite retreats also include inns to stay at on the premises. Coolfont Resort offers “residential spa programs”, like one which helps with smoking cessation, and also offers a “spa menu” for those watching their diets. Along with these services, the Coolfont Resort also offers a range of spa treatments such as massage, facials, wraps, manicures, pedicures and even hair styling! The Origin Spa, located at the Inn and Spa at Berkeley Springs, is a luxurious spa that caters to your every need. The spa is connected to the Inn, which is a historic inn with 62 guest rooms and five suites available for overnight stays. They offer the area’s famed mineral baths, as well as massages and other spa delights. Also available are spa getaway and “Spa for a Day” packages. In all, Berkeley Springs retreats offer the best of relaxation in a location that’s close enough to be convenient, but far enough away to help you get away from it all. Book your packages early, however, as retreats such as the Origin Spa recommend you book four weeks in advance, to be assured you get the treatments you want and that you won’t be disappointed. Appointments book fast at these great retreats.